As you will know from my many stories about doughnuts, custard tarts, hot cross buns, mince pies, beigels and loaves of bread, I have a passion for all the good things that come from the bakery. So I decided to take advantage of the fine afternoon yesterday to take a walk through the City of London in search of some historic bakery products to feed my obsession, and thereby extend my appreciation of the poetry and significance of this sometimes undervalued area of human endeavour. You can watch a film about a cake made to replicate the spire of St Bride’s Church by clicking here. 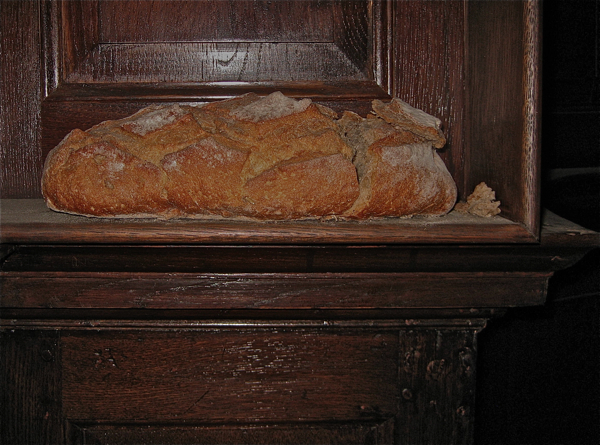 Loaves of bread at St Magnus the Martyr. 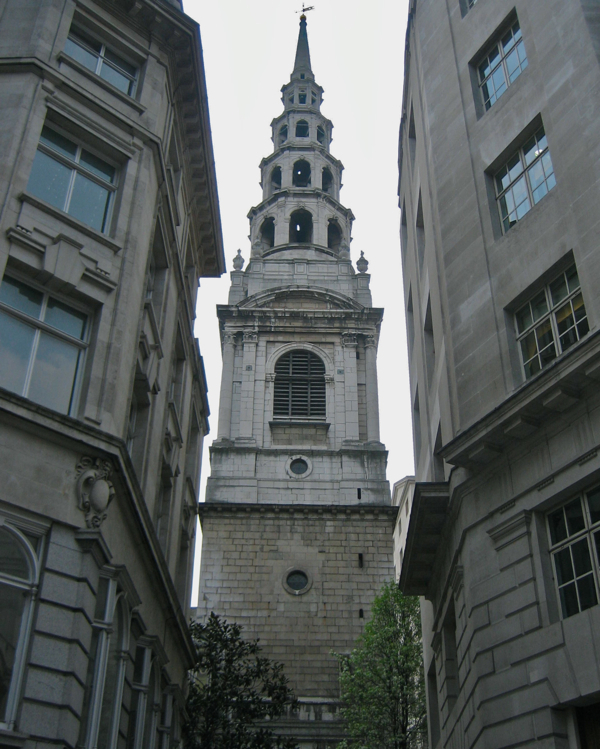 The spire of Wren’s church of St Bride’s which was the inspiration for the tiered design of the wedding cake first baked by Fleet St baker William Rich in the eighteenth century. 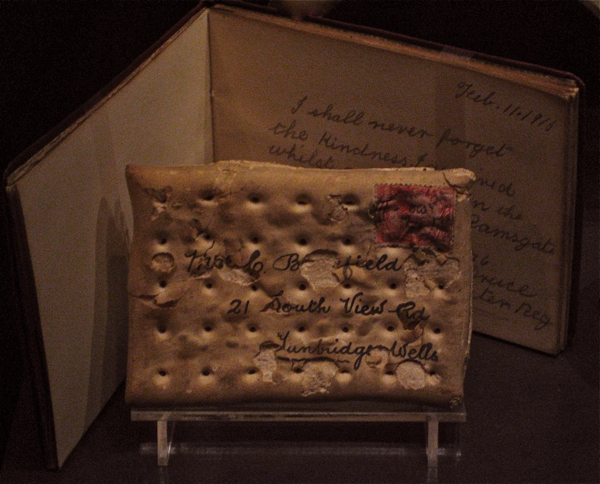 The biscuit in the museum in Clerkenwell. 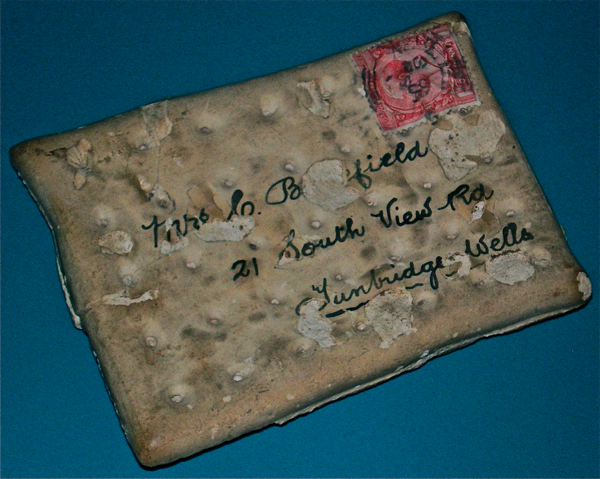 The inscrutable Henry Charles Barefield of Tunbridge Wells who sent his biscuit home in the mail during World War I. 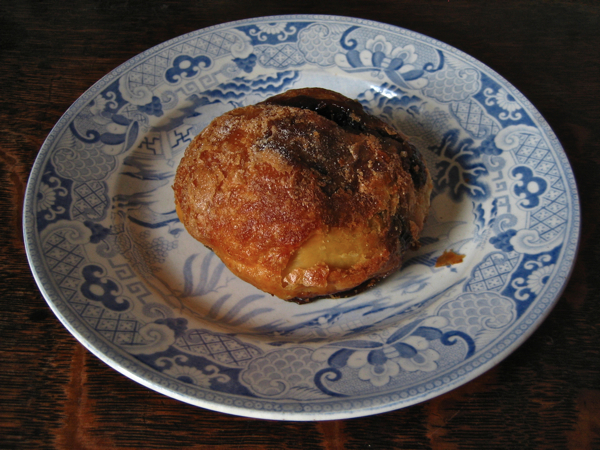 The freshly baked Eccles Cake that I ate for my tea. Another of your fascinating and beautifully written pieces. You deserved the bun! A thought on Henry Charles Barefield’s biscuit- perhaps he saw it as the bread and wine at the Last Supper ‘this is my body, this is my blood”? thinking he would die he sent the biscuit home to be eaten and live on in others?though an atheist myself I can see the poetry of it . As its coming up to Good Friday you could even see the ceremony whereby each year a member of the navy presents a hot cross bun to the pub. How endearing I find your pages. I am placed on a magic carpet and taken on a journey far removed from mine own. I cannot wait to get my hands on the book one day and leisurely visit the places that you show so many of us. Yes, yes – bring on the book, Gentle Author!! Your wishes will be fulfilled in 2012. Hooray! ‘Twill be a long wait though. Thank you so much for writing this beautiful piece about biscuits, bread and cake in London. I am very fascinated by hidden histories, and I love all the material details you have included in your post, and the alternative view of London sight-seeing that you present. Loved this item. St Magnus the Martyr is one of my favourite churches, but didnt know about the loaves. Another London bread to pay homage to is the White Conduit Loaf. This was a small bread roll eaten with butter or cream at the White Conduit House in Islington, a pleasure garden popular in the 18th century. The site was built over long ago but a pub was built on the corner of Barnsbury Road and Dewey Road which still has the name White Conduit House written on the outside wall. 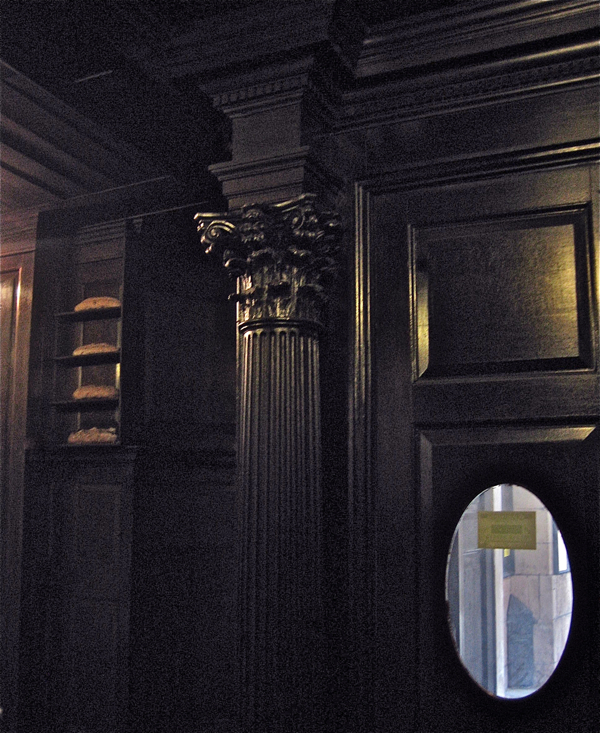 I visit the place on my tour of Islington’s Food History – see http://footprintsoflondon.com/larder . The next walk is on February 26th. Regarding the Barefield bisquit , I can offer a fact to the storey. Henry’s mother Ann died in 1906 so the bisquit was being mailed to Henry’s wife Edith Emily Barefield who he had married in 1915.In 1911 Henry was living at 20 (not 21) South View Road with his widowed father Henry, a nurseryman and market gardener and his brother William of the same profession. In 1911 Henry Charles was a railway clerk. 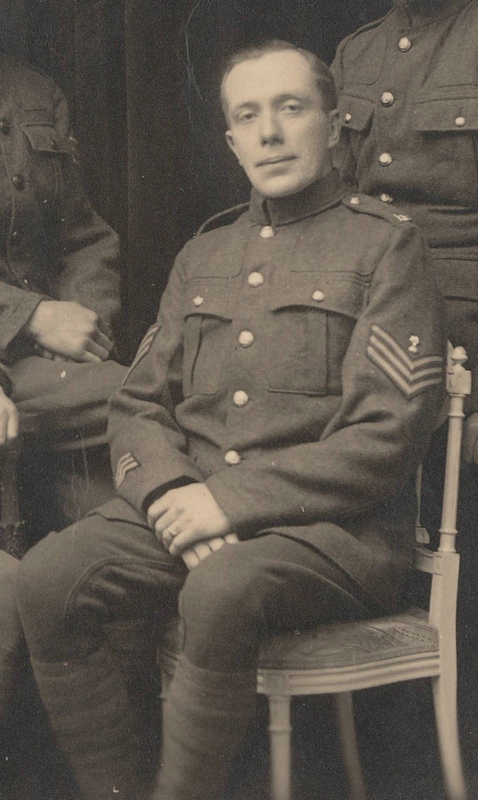 In WWI Henry Charles was a sergeant with the Royal Army Medical Corp Royal Engineers. Henry Charles Barefield died 1932 at the General Hospital in Tunbridge Wells. His wife died in Tunbridge Wells in 1967.